This was a challenge for me since both my mom and dad’s families have been in the United States for centuries so all the documents I’ve used are in English. Photo by Aaron Burden. Click photo for link. There is another language I have dealt with, though…legalese in old documents. Reading old legal documents can quickly make you blind, confused, or both. To have and to hold the said promises unto the said John A Davis and his children, their heirs assigns forever, and I do hereby bind myself my heirs administrators to warrent and defend the said promises unto the said John Davis and his said children against myself my heirs and assigns and against all other persons whomsoever lawfully claiming or to claim the same of any part there of. I was dizzy after reading that the first five or six times, but I finally figured it out with the help of my paralegal daughter. Second is the tiny writing of some documents. The scan below from an 1862 Equity case is enlarged. The writing is actually quite small. I invested in a magnifying lamp just for reading documents like these. Finally, some documents contain poor penmanship or writing squeezed in on margins. 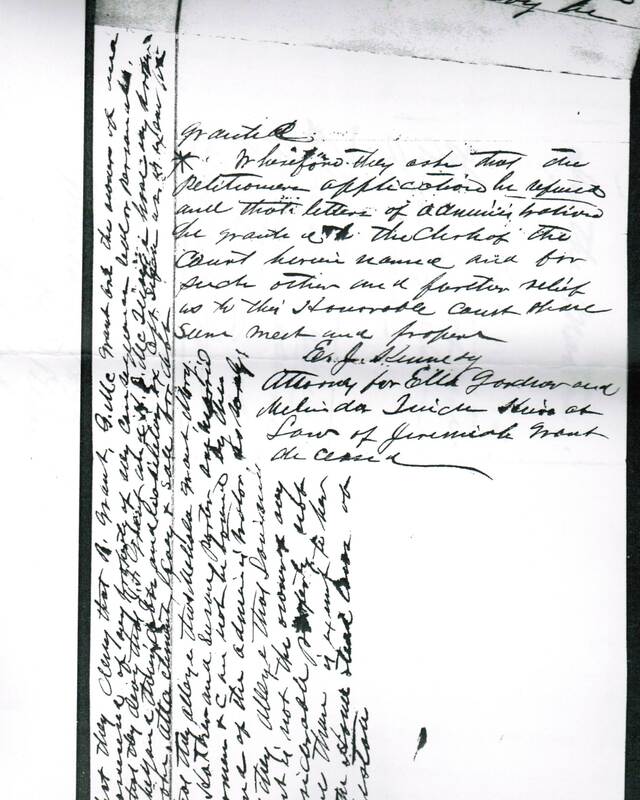 The scan below is from my 3rd great-grandfather’s 1893 probate records. 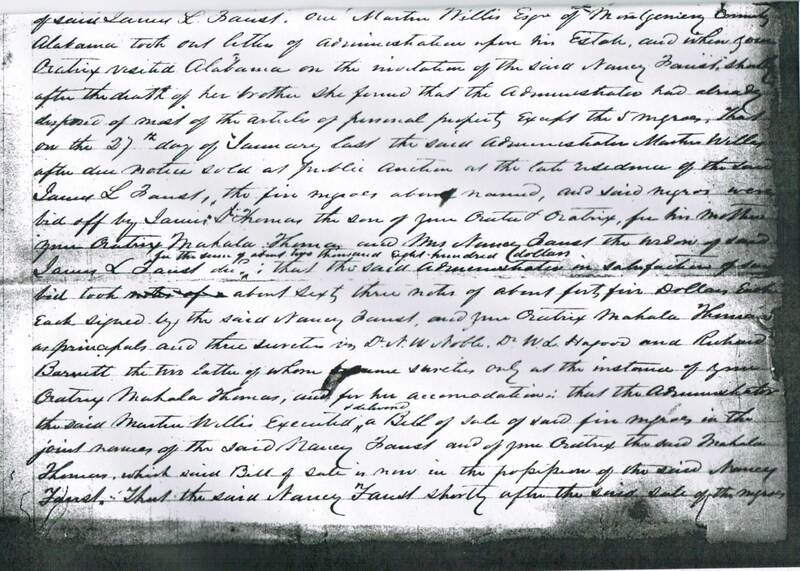 It’s part of a 3-page document where siblings of my 2nd great-grandfather, D. B. Grant, tried to get him removed as the executor/administrator of the estate. One of their complaints was that D.B. was a poor businessman. This document needs more transcribing to discover their other reasons. By the way, the siblings were unsuccessful in their attempt to overthrow D.B. In 1917, the U. S. Government ‘bought’ the land for Fort Jackson from the many families that lived and farmed on the land. My great grandfather, A. B. Martin, was a landowner and he passed away in 1917. 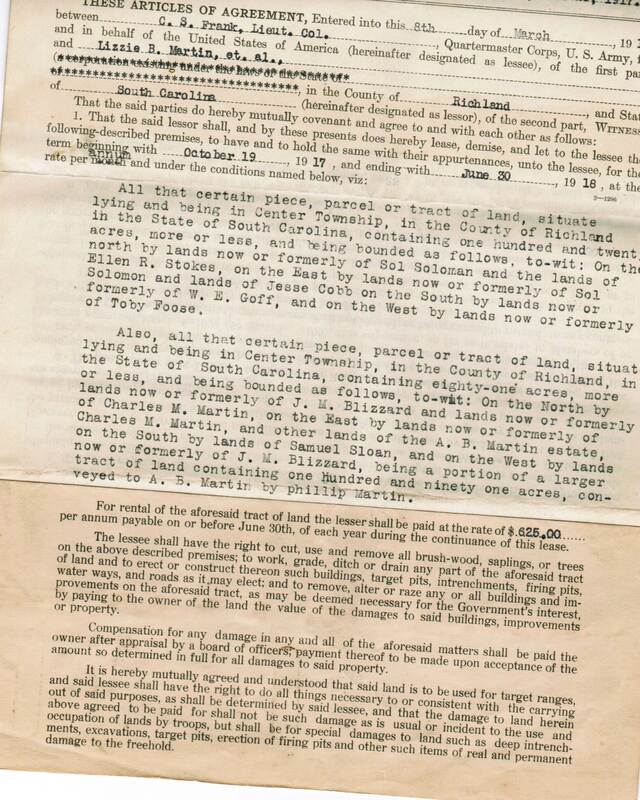 My grandfather, J. Daniel Martin, was the executor of the estate so he handled the transactions with the government. The paperwork passed down to me. I am so glad it was typed! 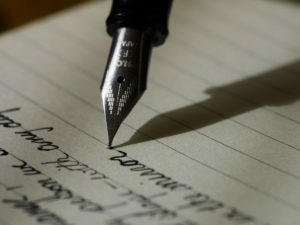 What languages have you encountered while researching your family history? Tell me in a comment. I have researched my husband’s family (French Canadian). All the documents are in French. I am fairly fluent in French but when we get into older documents the letters can be confusing. “S” looks like “f”. Especially when we go back into the 1600’s. This is also true of the Scots. My family has a lot of Scottish ancestors. I took a course to read old documents and decipher the letters but as you said by the end of the day I was pretty much seeing a blur. I found the course I took most helpful. Wow! Looking through old documents in our family has been very interesting and entertaining at times. Old documents have a lot of surprises, yes. So do old newspapers. Do you use them in your research, too?